Will I pass on my fears to my children? I tend to fear situations and experiences that are beyond my control. Of the many things I fear, which are not unique to me, but run the risk of being passed onto my children are: heights, flying, spiders, natural disasters, closed in spaces, the dentist, shots, roller coasters and cruise ships, just to name a few. Since I’ve had children, these “phobias” have ingrained themselves into my inner psyche even further. I used to be able to jump on a plane, despite a few subconscious fears, because I had nary a worry in the world. Two children later, despite statistical averages and odds, I take much more issue with the fact that trouble in mid-flight means there is very little you can do about it. Once upon a time, I was young and my decisions only affected me (or so I thought) — even though, as a parent, I can see now that my parents would be far more affected had anything happened to me. I tend to obsess over my fears and phobias, which has graced me with a brand new fear — am I subconsciously passing on my fears to my children? While my younger son still lives in bliss and harmony, getting excited when a tumble of thunder shakes the house and explodes into a sonic boom, my older son examines the concern on my face and looks for cues in the direction of my wrinkles and furrowed eyebrows. He has a knack for acting out the irrational emotions that I try desperately not to show myself. Funny thing is, when you see a smaller version of yourself acting like Jerry Lewis over a little thunder and lightening, squealing and running around in circles, arms flailing, making non-human like sounds in concert with the storm, you become embarrassingly aware of how ridiculous you look on the inside, where your fear is buried. Lately, I’ve been watching Storm Stories on The Weather Channel. As a mother who is already ultra-paranoid, this only serves to further damage my ongoing battle with insomnia. There is a psychological theory that if you actively subject yourself to anxiety producing stimuli called “desensitization”, your fear and anxiety start to dissipate. For some of my phobias, this is not a practical solution. I don’t really have the budget or the time to travel the world by plane and it’s not everyday that I look head on into a violent tornado, so I turn to The Weather Channel for this desensitization therapy. The results so far have been less than stellar. I find as the myths are debunked by way of the tidbits and factoids between commercials, I have even less to hold onto. For example, I used to believe that well populated areas or cities were immune from tornado demons, but thanks to Storm Stories, I now have the accurate knowledge that it is only by mere chance that most tornados hit rural areas because there is more rural area in the United States. I was happier when I was ignorant! It only boils down to statistical odds. That’s it! No safe haven for this Midwestern gal and so much for hiding the seriousness of bad weather from my sons, with the myth I no longer believe, he’s bound to see through it. Knowing my fear of tornadoes, my husband has little tolerance for my sadistic need to watch these horror storm stories. We have a television in our bedroom and given that he retires to bed many hours after I do, I’ve taken to going behind his back to fill my morbid fascination for disaster. He’s caught me a few times and scolds me like a child. “This is why you can’t sleep!” I have made the grievous error of judgment in allowing my son to watch “Storm Stories” when it’s a form of mother nature that doesn’t affect us directly, or one which seems less threatening, like flooding or snow storms. This happens as he comes up to our room after bath, while I take a little rest and watch TV in the futile effort to reward myself with free time. A friend of mine recently told me that she had a fear of escalators, which has turned into a full-fledge phobia. She will not ride an escalator, even if it meant saving her life from fire or crazed mad man. She explained to me that when she was a young girl, her mother would constantly warn her prior to the first step, that she’d better not screw around or her long ponytail might get stuck in the escalator. Somehow that manifested itself into a paralyzing fear she cannot escape as an adult. She is forever searching out stairs and elevators because of a seemingly innocuous threat her mother made to encourage her daughter to behave. This story only added to my new fear of damaging my son’s inner confidence with my own goofy and illogical fears. Adding credibility to my point, on Tuesdays our area undergoes a disaster-warning test where sirens go off at 10 a.m. sharp and television stations blare an annoying alarm. One day when my son was home, unsuspecting his cartoon was about to morph itself into the EBS sound of death, he stopped cold and I saw fear and silence overcome him as he froze and turned off the television. A naïve attempt to control the powers that be, as if that would make it all go away. Again, with my infinite motherly wisdom, I assured him that it was only a test and explained why we need to be aware, but not be reflexively afraid. As his awareness became all too real to me in that moment, it became even more obvious that Storm Stories and It Could Happen Tomorrow is an addiction in which no good can come out of it. The desensitization program is clearly not working. I must figure out a way to not obsess over these things I can’t control. Terrorism, sharks and theater shootings however…hold me. I read this article and found it very interesting, thought it might be something for you. 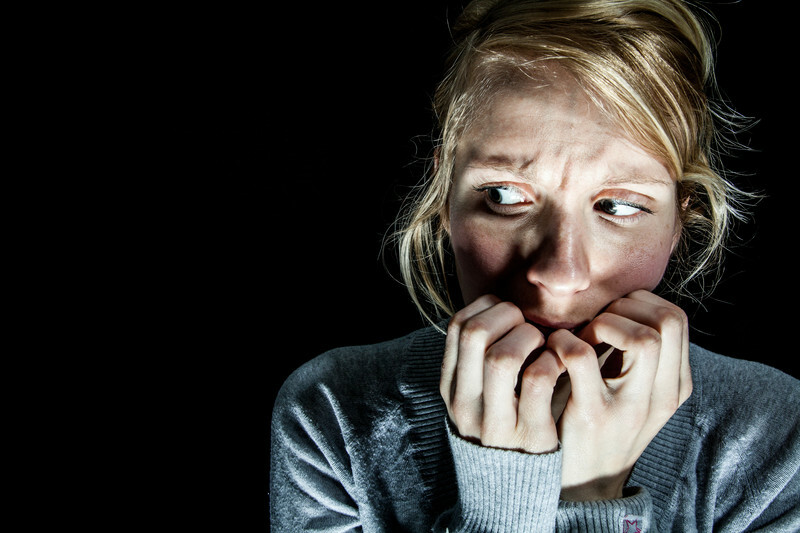 The article is called Phobias: Motherhood Has Made Me Paranoid and is located at http://www.imperfectparent.com/articles/phobias-motherhood-has-made-me-paranoid/.